We have all felt the power of giving to others as well as receiving from others, even something as simple as a hug. It is a connecting interaction that reminds us that we are not alone. Giving to others has also been shown to have great benefits for both the giver and the receiver. This holiday season, why not get together as a family and start a tradition of giving! Giving to others creates physiological changes in our brains. Studies have shown that when we give, the reward circuit of our brains is activated leading to happier and more satisfied feelings. Studies have also shown that altruistic behaviors are associated with our ability to experience positive emotions. Therefore, giving is associated with happiness, which increases our overall well-being. Giving to others improves our confidence and optimism. Engaging in positive activities increases our self-esteem and perspective of the world. An increase in our self-esteem boosts our confidence and competency, as there is a personal sense of accomplishment. Giving also increases the likelihood that others around us will give as well (also known as the “pay it forward” phenomenon) creating a more positive community overall. Giving to others encourages social connection and reduces isolation. Being a part of a social network through giving provides us a sense of connection and belonging. Direct face-to-face interactions, such as volunteering, helps reduce feelings of loneliness and isolation, as you are an active member in the community. Giving to others helps shape our sense of meaning and purpose. Giving and volunteering can provide a sense of purpose and meaning as well as help shape our identity. Did you know that more participation in community service is associated with higher life satisfaction? Giving to others reduces stress. Despite the allure of the holidays, it can be a stressful time. Giving to others helps buffer against stress, as it helps keep the season in perspective. Giving to those who are less fortunate can help us focus on what we do have opposed to what we do not have. An increase in our gratitude helps create a positive outlook, to help us better tackle our stress. Giving to others helps us live longer. Did you know that giving to others may increase how long we live? Doing positive things for others increases positive emotions, which boosts our immune system. People with chronic pain who give to others report less intensity in their pain. Studies of older adults show that those who give to others live longer than those who do not. There is about a 50% increase in survival for those who have meaningful, giving relationships in their lives. Why Give as a Family? Increases relationship ties, life satisfaction and improves physiological regulation. How to Give as a Family? 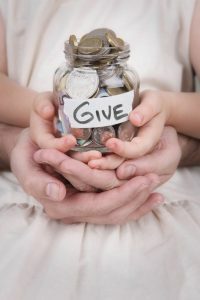 There are no rules or limitations necessary to begin a tradition of giving as a family … But here are a few suggestions to help you get started! Identify family members’ goals. Everyone’s goals do not have to be the same. 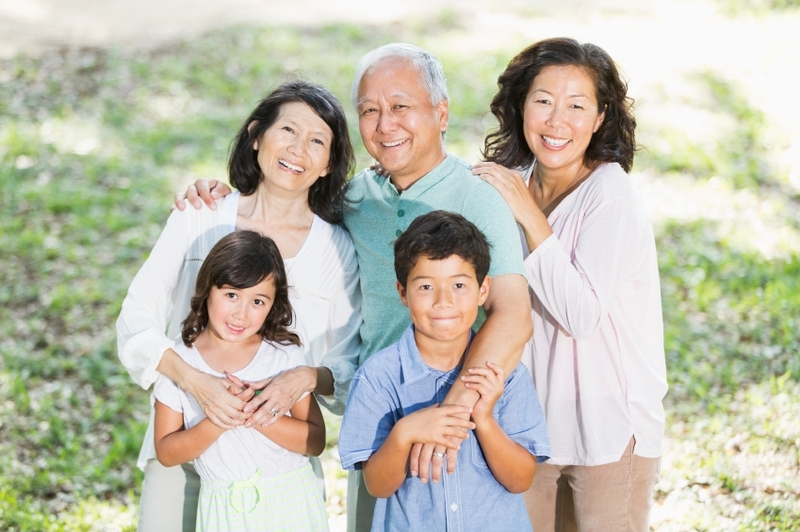 Having an open dialogue amongst your family can help to clarify everyone’s priorities and abilities. Develop a “Family Mission Statement.” Coming together as a family to create a mission statement can clarify family values. This can also help streamline everyone’s priorities and narrow down where and how to start. Decide where you want to give. Most likely there will be a difference in family members’ capacities to give. Decide who can offer what and where you would like to start. Involve the entire family. Allow your younger or teenage children to make the decision of where to give or volunteer. This can help your children develop a vested interest in causes they care about. It will also help them feel more empowered and valuable in the decision-making process, which gets more buy-in to get involved. Get moving! After prioritizing, get started – even if the giving feels small, every little bit adds up and encourages us to continue giving. Practice accountability and assessment. 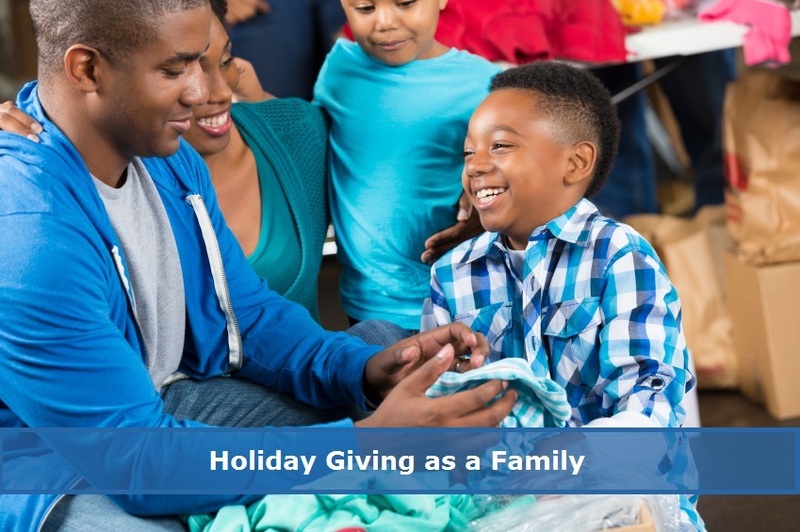 Help keep each other accountable and periodically reflect on your family’s giving strategy. Are things working? Should things be shifted? How can you encourage others? Ideas for Your Family – Get Creative! For the younger children, start allowance jars. Instead of having one allowance jar or piggy bank, have three jars for their allowance. One jar is for “spending,” one for “saving,” and one for “giving.” Have fun decorating the jars and explain the difference of each jar. 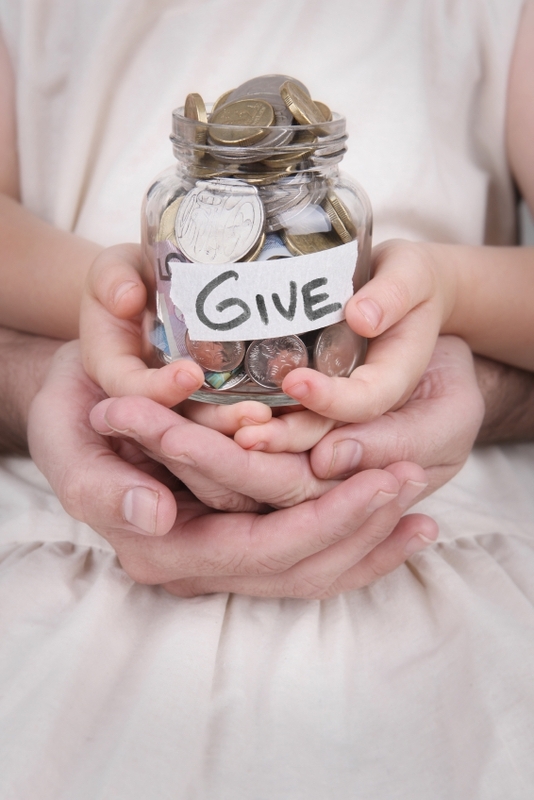 This will help your children learn basic money management as well as the importance of giving. Your children will enjoy seeing the money they save and picking who they get to give to! For family activities, initiate “family fun day” where your family gets together to volunteer. You can choose from volunteering at your favorite charitable organization or soup kitchen, participating in beach clean-ups, or visiting senior centers, churches, or a local community center. Remember … Small changes can make a HUGE difference. 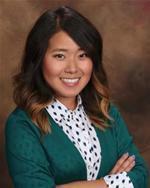 Diana Ro, PsyD is a Doctoral Limited Licensed Psychologist at the Pine Rest Traverse City Clinic. Diana earned her Bachelor’s degree in Psychology and Social Behavior from University of California of Irvine. She received her Master’s degree in Psychology and Christian Leadership as well as her Doctorate of Psychology degree from Fuller Graduate School of Psychology in Pasadena, California.